beginning of this blog. There are several years worth of holy cards and inspirational quotes. Comments left can still be read by the author of the blog. The time has come for me to bring this holy card blog to an end. I can't believe over two and a half years have gone by (it's actually three and a half years but I took the first year's cards off the blog). It has been my joy and privilege to share my collection and love of holy cards with each and every one of you. To those who so loyally sent words of friendship and encouragement, I will miss you. To those out there who stopped by but didn't leave any messages, I can only say "thank you". Seeing the number of visitors increase over time (over 337,000 "hits" from US and over 147 countries.....PRAISE GOD) told me that there were many of you who came frequently, if not daily. To those of you, my special blogging friends, who left comments and taught me as much if not more than what I shared with you, I will deeply miss checking the computer each day to read your words. Thank you. 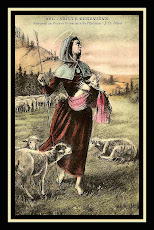 The card posted today is special because it was given to me by a nun decades ago. It was the very beginning of something that grew into this collection that I enjoyed bringing to you. The words on the card touched a little girl's heart and still touches a senior citizen today. And so I pass these words on to all of you. Remember the words......"See, O See, How I Love Thee". We love Him, He loves us, and I love you. Archiving is shown on the left-sidebar. It makes it easier to go back and see over 825 cards. God bless you all. Thank you for being there for me. I will truly miss you. Hanging on my kitchen wall, except it says "Welcome". 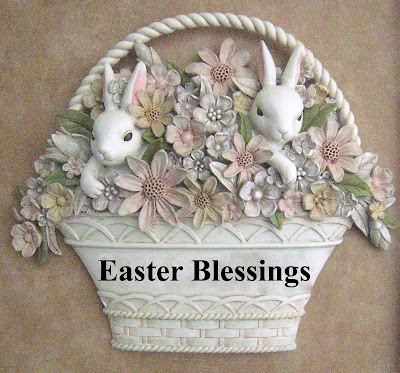 I thought "Easter Blessings" was more appropriate than "Good-bye"
PS If I could be allowed one further suggestion....use my blog to come back daily and start with the first post of 2008 (shown in the left side-bar)....use the quotes as mini-prayers for the day. It's just impossible to scan all the quotes quickly and still be touched by words left for our inspiration. Maybe I'll even meet you while I'm doing the same. If you haven't already discovered HOLY CARD HEAVEN, click here and add this beautiful blog to your daily appreciation of holy cards. You will truly enjoy. 84 VIEWERS CLICKED HERE TO COMMENT ON THIS POST. YOUR COMMENT WELCOMED ALSO. Thankyou for all you have given all of us over these years that you shared with us your holy cards, quotes and mostly your wonderful, generous you! You have added much to many peoples lives. Thankyou again, Micki! I know you will be misssed by all your faithful visitors. I visited often, but never left a comment. It is amazing to see how many lives you have touched over the past years with your inspirations. Such a beautiful blog by a faithful soul - I will miss you and your posts! I pray all is well with you, and that you'll send an email to me sometime, if you please. Many Blessings in Chris through His Blessed Mother. I will miss you and your lovely blog that made me smile every day and remember why I am here. Thank you so much and I will be praying for you. It is a good thing that Jesus has me on a high with the celebration of His ressurection. And it is a good thing that my aunt, Sister Annerene RSM. said to me yesterday, the joy of this day supercedes all sadness. But they will all have to hold their thought for a moment, because I feel like I hit the skids! I start my day with my coffee, your blog, and the Sign of the Cross, as your posting is my first prayer. You, dear Micki, have taught me so much, inspired me in so many ways, you have changed my life. God bless you and keep you safe. Dear Micki, as the years have progressed I now find myself coming to your post several times a day to read it gives me a sense of peace and joy. I have shared your blog with many of my friends and countless pictures have been put into our Church bulletin which many parishioners have comented on lovely quotes and pictures. Thank you for your dedication and I will surely look back. Take care be good I love you. Best wishes to you! Thanks for sharing for all these years! Thank you for the daily inspirations that you gave me throughout the years with your Holy Cards. I'm sure you touched many souls. I will miss you. Thamk you for your friendship and your prayers.God Bless you and your family. 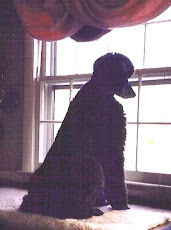 Dear Micki, I am saddned to read this afternoon that you will no longer be blogging. I have been touched in more ways than I can put down here by the beautiful messages and holy cards that truly inspire each and everyone of us that stop by. I believe in my heart of hearts that your time, love and energy that you put into this apostoslate brought many souls to Jesus and was food for those of us who wish to deepen our relationship with the Lord. I cannot Thank You enough and I praise God in His infinite Love, and Wisdom for the gift of you. Your site has been a becon of light in our darkend world. You will continued to be remembered in my prayers each day. May Jesus the Good Shepherd always keep you and those that you hold dear near His side! I will miss stopping by. John K.
Micki, I am very sad that this beautiful and inspirational blog is ending. Thank you so much for all you have shared. It was not taken for granted. Thank You so much Micki for ALL the BEAUTIFUL holy cards and quotes that you shared with us all. You are such an inspiration to me and others. It was nice to see you on here every morning. Take Care and many blessings and prayers to you and your family. JMJ~Lisa S.
I am so saddened and sorry to hear this. You have given us all so much and have made us more aware of God's love for us and helped us grow in our love for Him. I hope some day you will be back. God Bless you for touching so many lives in so many ways. I only recently found your lovely blog and I am glad it will be kept up at least so I can go through the archives. Thank you so much for all the work you did here!! Thank you for being so giving in sharing your collection. God bless you always!! Your ministry has deepened our love for Jesus and Mary, for the saints and angels, and for each other. You've brought the beauty of holiness into our all our lives and been a daily source of joy and consolation. In whatever you do, I wish you love and happiness, and, if you should return, I'll be waiting with all your friends to welcome you back with open arms. Like bread cast upon the waters (Ecclesiastes 11:1) I pray that the love you have given to others returns to bless you. Thank you, dear friend, for being you. Thanks for sharing your holy cards and inspirational messages with a world that greatly needs more of that sort of thing. I hope whatever you endeavor to do next will be rewarding and meaningful, and if it isn't, you can always come back. Meanwhile, you WILL be missed. God bless. Micki, I'm so sad to hear this news. Thank you for all the beauty and inspiration you've given us. I have found so many beautiful and diverse images of Mary to enrich my own blog ... they've touched me in so many ways. God bless you and thank you. You've made faith accessible to us: and really, there's no greater gift than that. Thank you so much for the beauty I looked to daily, it enriched my prayer life so much. God bless you and your family. I'm french and I don't speak english very well, sorry. I'm very very sad to see that this blog is finished, I came every day. I just want to say thank you to Micki. I make the collection of holy cards too and I hope, one day, making a blog. Micki, this blog was one of the best! I'm especially sorry to see it go, since I've only been following it for about a year. It was so wonderful of you to share your collection of holy cards with us. I know they were an inspiration to me. God bless you my friend. I will truly miss your lovely blog. On my journey to Christ and His Holy Mother Mary, your blog has helped to draw me closer to Their Hearts. May God continue to bless you and keep you safe. You have been an inspiration to me! I'm from Spain, I saw your blog every day. I don`t write much in English. Tu blog es muy bonito. Me encantan las imágenes que pones. O my where O where will I go every morning to get my Holy Cards and Inspiration fix. You have been wonderful and I so will miss you. God love you always and keep you safe. You will be blessed for all you have done "O good and faithful servant"
Thank you so much for the time and effort you put into this lovely site. Thank you ALL for your most kind and loving words. I gladly claim all the blessings sent my way and you know that my prayers are also going up for you. I was amazed at the thought that your words now offer me consolation anytime I'm feeling in need of a hug...and don't we all need that at certain times?... I've never had so many arms reaching out to enfold me and I'm so very very grateful. I hope you continue to look back over the years using the archives in the sidebar. I'm quickly learning that the addition of being involved with "A Blessing To REad" lets me keep my thoughts on all of you. Do stop there and leave an occasional "hello". Love to everyone. Thank you for having spent so much time bringing so many of us the beautiful images that have been created in love for our Lord and His Church. My best friend and I became prayer partners a few months ago, we call each other each morning and pray together. Although while on the phone in prayer my lips were turned toward Heaven it has been through your Holy Cards that my eyes were also turned toward God. I miss my daily moment of joy. Thank you so much and may the Lord bless your life as He has blessed mine through you. I will miss you, Micki, and your beautiful posts. Thank you for much inspiration. I cannot tell you how many times I stopped by and the quote was EXACTLY what I needed to hear. May God bless you richly for all that you have given to us. I love you and pray you will find God's peace and joy in whatever it is you do from now on... thank you, thank you , thank you for the joy you have given me, and the touch of God through what you did. God bless you! This is a beautiful blog, and your updates will be missed. I will truly miss the anticipation of seeing the next beautiful image from your site. Thank you for leaving it up though so we can come back, reminisce, and enjoy them all over again! Your cards, the quotes, the prayers, and your readers comments have all combined to be a most encouraging ministry. May God bless and keep you! Oh,Micki... I have been so busy that I just came by today.. I was so thinking that this beautiful blog would go on forever... I will miss you. I hope we can stay in touch. Thank you for all you have done, and may God bless you in all your future endeavors! I just found out you have discontinued your blog. I thought something must be wrong with my blogger reminder system. I will check the sites you recommend and I will also review the many posts from years past. God bless you, Micki! Was thinking of your cards & blog, thought I'd stop and wish you a Blessed Pentecost! Aspiring - Not sure what you wanted me to "test". I have noticed that sometimes the word verification doesn't come up but if you write a comment and click to send, it will say you didn't verify the word and suddently it will be there. Don't know why that is happening. If any past commenters still get this updated message I send a "shout-out" to all of you. Hope you are all enjoying your summer and finding peace and joy in all you do. If you like, send me a new comment to stay in touch. I miss you all. I had trouble with a computer and was testing different types of comment pages. (I remembered you had the 'full page' type of comment form.) I didn't need you to do anything at all. Sorry for offering no explanation. God bless you, dear heart. Miss you, too. Aspiring - Thank you for suggesting I check your last message on "A Blessing To Read".....I was surprised to learn that it was not available to the public and I quickly changed that setting around. So good to know all is well with you. Drop an email and let me know what you have been up to. Your holy cards are like no others! Thank you! I have not been able to find any as beautiful as these anywhere In the world. When I was In Rome where you would expect to find these kind of things, they only had modern type un-inspiring modern art! In Spain it was a bit better. Luckily they still have a love for beautiful things in some of the Spanish speaking countries like Ecuador and Colombia. Sadly no one makes them like yours. Thank you for sharing with us and I for one will miss this daily inspiration. May you be rewarded for your charity, I would love to see you start this up again, for the spiritual good of so many souls who are in need of this kind of inspiration. God bless you and Mary keep you in their loving care! Hi Micki, I hope all is well with you :) , <3 , aspiring f.o.o.L. Will you stop by my place :) and consider offering your answer to a question I've raised in my Nov. 10 post? With your permission, I invite your readers to do the same. The more the merrier? Well, the more the better maybe in this case :) . Hi Micki :) , I'm starting to settle into the new site! Lots to do yet! but I'm enthused. I hope you'll stop in when you can. I'm writing now to let you know that this is my new id. God bless you, KathY, still aspiring... though :) . What a treasure you are. You warmed my heart with your greeting. It is so nice to still be remembered..thank you. I pray that you will also have a blessed and joy-filled Christmas and a New Year filled with His abundant graces. Isn't it funny that you were the first message sent back on April 5, 2010?....It's right next to where I'm typing tis comment. I will always treasure the friends I met doing ths blog. Can you believe that it still gets over 100 hits a day. God is using it to bring inspirations I'm sure. Hugs. i have traveled w/u over the past +40 days..
ur work inspired my "lenten journey"
a journal, a daily cross, in a way, of myself..
such a gift u have given all of us out here in the world of the web. Truly a beautiful blog. Guess I'll have to spend all my time in the archives. It will be quite blissful I'm sure. Thank you for this, whoever you are. ST - Welcome. I think you will find lots to view and read here, even if I no longer post. I'm still notified when viewers leave comments so I hope you come back and enjoy. Just stopped in to say hi :) . INSPIRING - What a blessing to see your name here today. I hope you are well and enjoying this time of the year. I'm always amazed to still be getting occasional comments after all this time. I think the good Lord still uses this blog to "inspire" others. I am happy to know that all these blogs that speak of God etc. are still so valuable to so many. Wonderful blog! I'm so glad that I met you and that you shared this with me! Thankyou for this lovely site which I've just discovered - it looks like a real gem and I look forward to exploring it thoroughly. Christmas blessings to you and your readers. Thanks to the previous two "anonymous" posters. It's nice to get an email in my email box letting me know that people still come around a leave messages. To the new poster...please, come back and enjoy checking all there is to see here. I'm sure the good Lord is still using my former blog to reach out and bring blessings to you. These designs are adorable and are very good. credit is not enough for those very inspiring holy pictures. 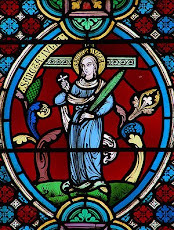 best for personal reflection and meditation on the Lord's passion , above all on the reason why He offered Himself to such a disgraceful death. thankyou very much. ai pray that many will benefit from this pictures. keep up the goos work. 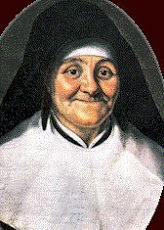 perpetua. Anonymous and All..............Thank you all for still leaving comments. It is God's blessing to me to let me feel that still, after two years this blog that I loved doing but brought to an end, is still touching others. May God bless you all using any of these words and pictures of inspirations. Again, thank you for sharing a moment with me. Last many days I am searching some good article and I am very glad to find your article. This is very essential and informative information for me. I'm happy to read you found some help on these pages. There is a lot to read and I hope you find more help. Thanks for taking the time to leave a comment. I appreciate that. Oh I was sad to see you are stopping your page. I just discover it today. I wish you could continue it. 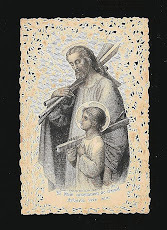 I remember receiving these cards from the sisters at the Catholic school I attended many years ago. I made a scrapbook to put them in. I really miss them and the simplicity of their words and meaning. I just wanted to wish you a very Merry Christmas as we celebrate the birth of God's son for us. My email is dianwrdn@aol.com if you would like to stay in touch. God bless you, my friend. Thank you Diana for stopping by and leaving a comment. I'm always amazed that even though the site is inactive so many people still stop by looking up a special saint or date or just some inspirational message. You are always most welcomed to go back among the hundreds of holy cards and quotations. I wonder if you held on to all your old holy cards. That's exactly how my collection of cards started, from the good nuns in elementary school. God bless. Thanks for this. I've been looking for the best spiritual prayer cards and these look great. 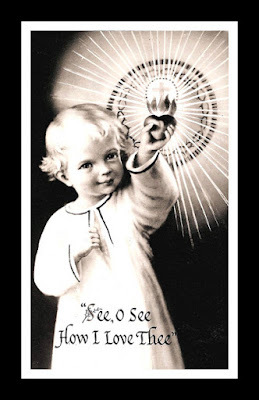 Thank you for inspiring and making our world brighter and closer to god, the catholic holy cards are great gifting idea. May God bless you and yours always.